Service Finder WordPress Theme comes with Paypal integrated in it. 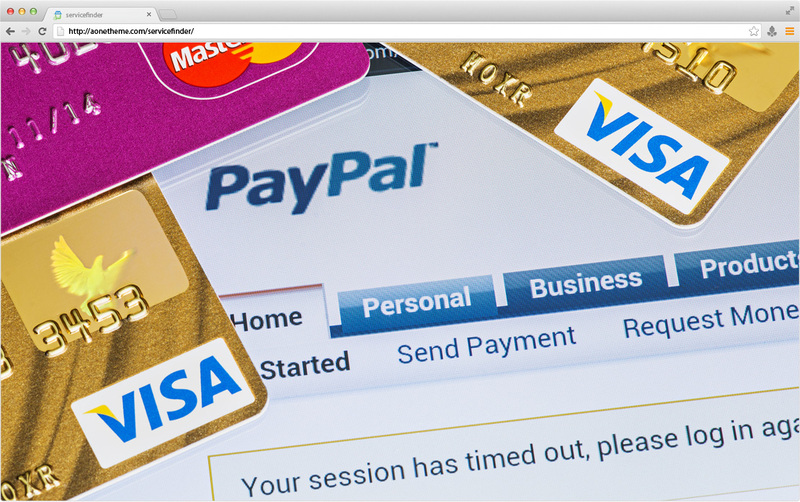 Paypal is most trusted and efficient payment gateway available in almost all corners of the world. This Theme provides option to enable One Time Payment or Recurring Payment option to get register for Service Provider or Business. Admin can define these options and billing period for each package from WordPress dashboard under theme options. Admin can test the Payment option feature in test mode or live mode, this option is available in theme options.